Great news for all Globe Prepaid subscribers! You can now enjoy unlimited calls, 15MB of data for mobile surfing + 20 texts to ALL networks for only P20/day! Even better? It's now made easier without the need for prefix dialing (which is always quite honestly, very confusing and I often forget to punch those numbers in and always get charged for the normal rate)! After punching in the required registration codes, we can use our smartphones normally and enjoy super discounted rates. Yes to more Instagram posts on the go, sharing videos with friends via YouTube, sending photos of things you like via Viber or iMessage and you even have the freedom to call them and check wether they got it or not without having to worry about a hefty chunk of your load disappearing! It's a perfect way to stay connected with loved ones during this digital age. 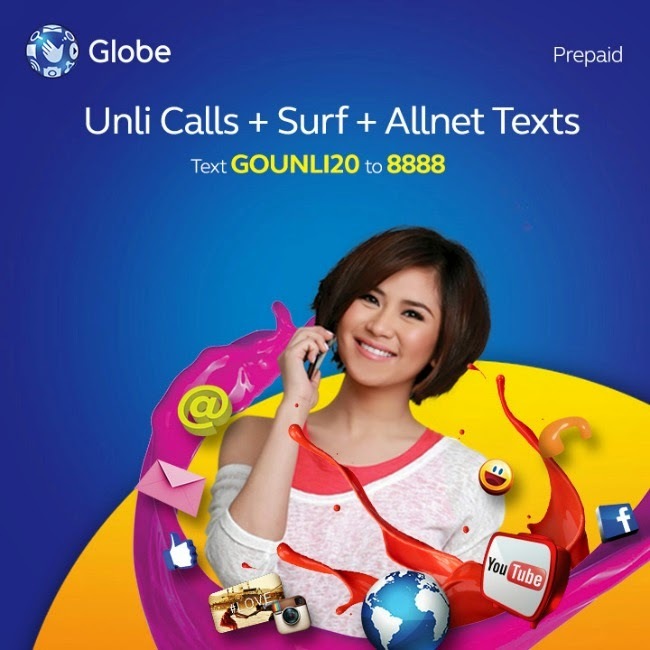 Sign up today for Globe's new GoUnli20 and get the most use out of your smartphones!